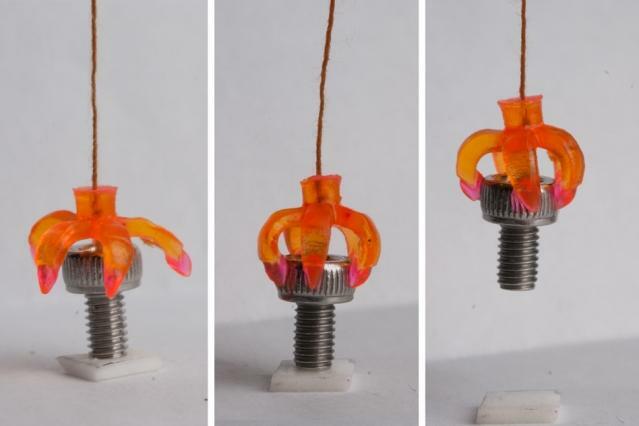 Four-dimensional (4D) printing can create complex 3D geometries that react to environmental stimuli, opening new design opportunities in materials science. A vast majority of 4D printing approaches use polymer materials, which limit the operational temperature during the process of engineering. In a recent study, Xiaolong Chen and co- workers at the Dyson School of Design and Engineering, Department of Earth Science and Engineering and Department of Materials at the Imperial College of London, U.K., developed a new multi-metal electrochemical 3D printer. The device was able to construct bimetallic geometries by selectively depositing different metals with temperature-responsive behavior programmed into the printed structure. 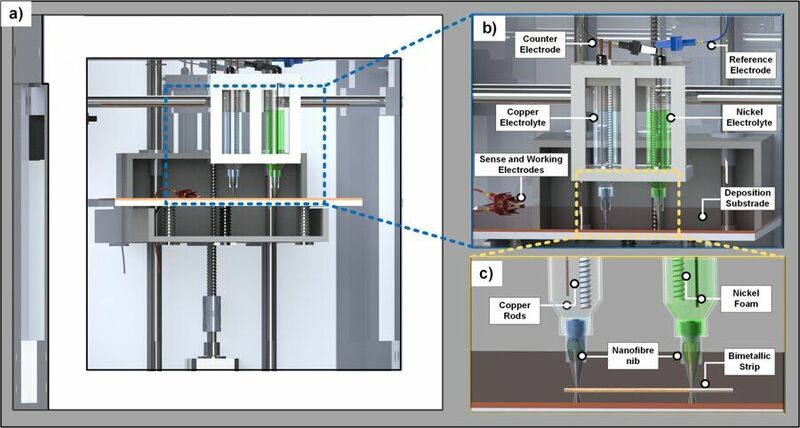 In the study, they demonstrated a meniscus confined electrochemical 3D printing approach using a multi-print head design and nickel and copper materials as examples, the ability can be transferred to other deposition solutions. 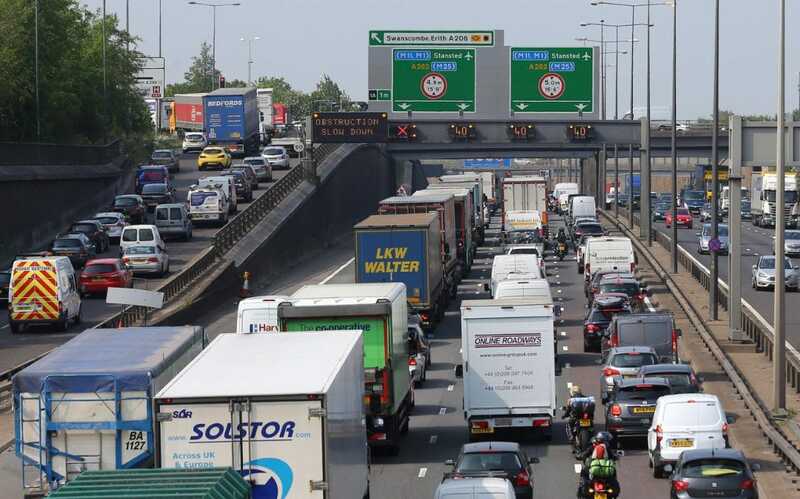 The results are now published in Scientific Reports. Forget about 3D printing, the future is 4D printing creates shapes that can assemble themselves into predetermined 3D structures. The structures are made of plastic and smart memory materials that morph into different shapes. 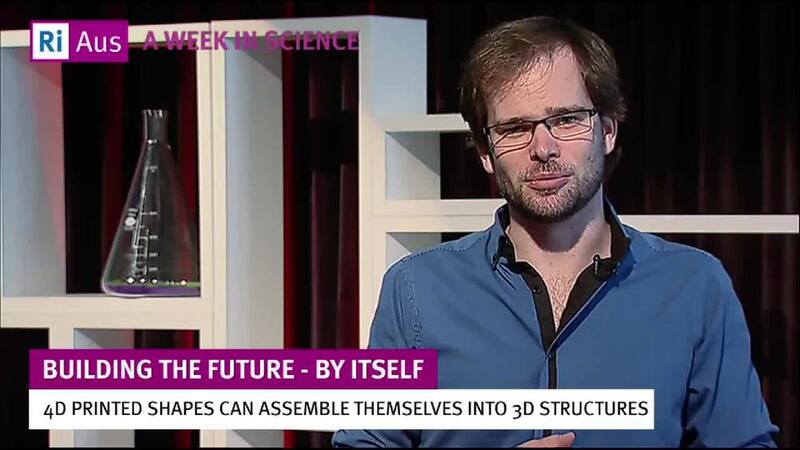 Discover more about this amazing technology in A Week in Science by RiAus. Glad Intel is moving this dial on their side as I have said for over a year they must do this to remain relevant. I would also encourage them to enter into a large 3D/4D printer partnership to develop a high speed printer that can print diamoide particles as they will need this bi-product to ensure stability in their chips and any other QC data storage and transfer processing. I do say they will need a group focused on Quantum Bio R&D as we begin to progress more of a integrated tech-bio system approach. Syn Diamonds is a field that I have been educating many on the importance of in areas of QC, healthcare/ medical, and now we’re looking at transportation such as driverless cars. 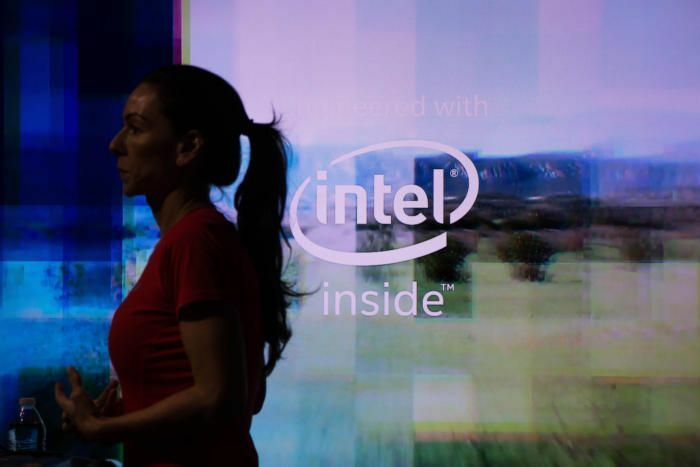 I told folks if we could have a joint venture with Intel and HP in this space; we could see these to companies re-emerge as leaders again just for this one area of technology. Who ever comes up with the 3D or 4D printer that can mass produce the quality we need in syn diamond materials in various scales/ sizes will dominate and make billions as this technology is a core piece to QC. A team at Element Six, a tech company based in Oxfordshire, are exploring the remarkable properties of crystals with a so-called ‘nitrogen vacancy defect’ — a gap in the atomic lattice at the heart of the diamond. 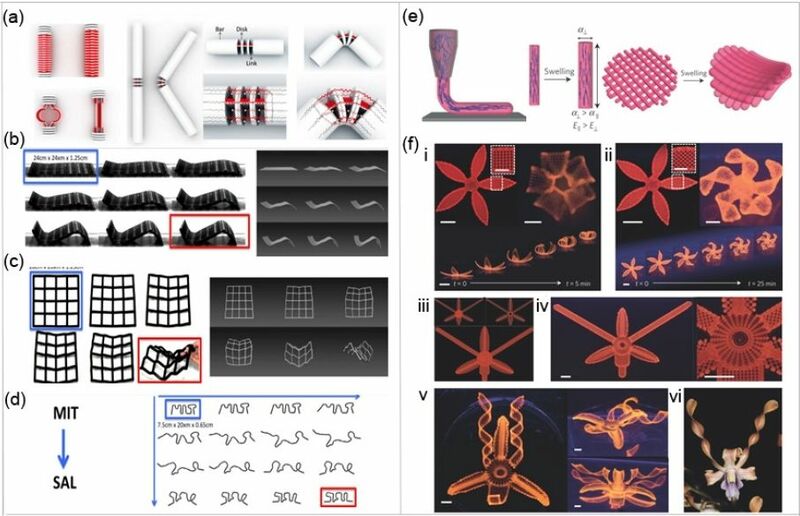 A topical review in Biofabrication examines the potential of 4D bioprinting for creating biostructures with controllable motion. Soon, we see Legos that self assemble from 4D printers, printers that can recycle robots & devices and produce a more improved robot and/ or devices. The days of manually working on equipment, autos, etc. will be gone except for the eccentric hobbyist. 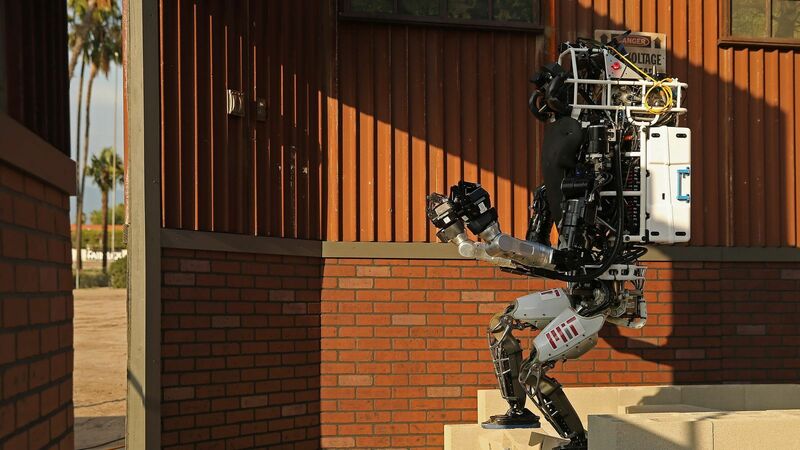 Open-source hardware could democratize the future of robots. If I have a very robust and sophisticated 3D/ 4D printer to make my own clothing, accessories, household furnishings plus another option in my printer/s to make dishware, household accessories, etc. Why would I ever need a Macys, Bed-Bath, etc. as well as Amazon for that matter for clothing, etc. Hmmm, and retail was already worried over Amazon and Aliexpress, etc. We’ve followed Nervous System for two years now, with their stunning introduction of 4D printed apparel. Based in Somerville, MA, the design team has since offered numerous projects to the world, featuring their 3D printed Kinematics dress on more than one instance from the first one now permanently ensconced in MOMA to debuting their last in a Sydney Museum. And while we’ve reported on the innovation of their adaptive materials along with an overview of their construction in collaboration with Shapeways, now we are allowed to take a more comprehensive look from the present, as others look much further into the future. Definitely many benefits to 4D including manufacturing, tech devices, and energy. A team of researchers has uncovered the key to what they call 4D printing – and solar energy may be one of the top 2 fields to benefit from the great invention. Self printed, self healing houses now possible. 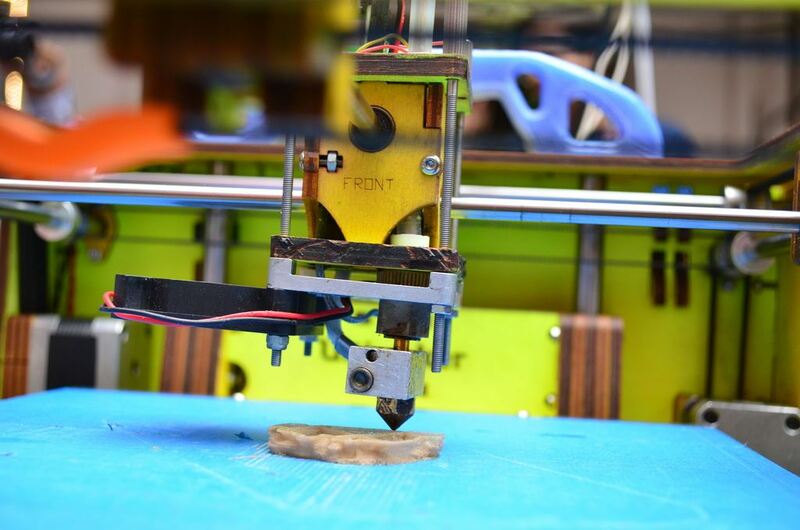 We’ve been writing about the positive disruption potentially caused by 3D printing since we started this blog in 2014. The key to making it commercial viable has been materials science developments and such is the rate of advance 3D printing is now being used to print car parts. Now we’re moving into materials science that allows self healing buildings – from 3dprint; “Magic is a recurring thing in the 3D printing industry. It’s quite challenging—and exhilarating all at once—the first time you put one of the machines into action for yourself, watching a project go from start to finish. To see that you can decide on something you want, and then have it appear in front of you is startling, euphoria-inducing, and downright addicting. Add to that the sheer simplicity of how it all works, and the brain is further boggled. But none of this compares to the true magic of this technology—all emanating from human minds. Technology can be confusing when it begins moving at such an accelerated rate, perfectly exemplified by the 3D industry, and encompassing all that goes with it, from 3D scanning to 3D printing and then peripheral industries that are often connected too such as augmented and virtual realities. We’ve barely digested all the stunning innovations making impacts in so many different sectors, from 3D printed medical models that allow for more complex surgeries, to 3D printed parts for a suspension system that make racing bikes go faster, all the way to incredible toys for your kids using augmented reality systems. Yet, while work is definitely just beginning in the 3D realm, scientists have already begun exploring a range of uses for 4D technology that should prove offer impacts in just as many applications, from the medical field to electronics and far beyond. It might seem like a lot all at once, but the two technologies definitely work together, with the 4D emphasis adding a more intuitive, smart angle to fabrication. As we’ve seen in other studies using the application of heat, it would appear that 3D printed objects can be treated or manipulated to cause shapes to morph according to their environment, as well as remembering their previous state and going back to it in the appropriate conditions. 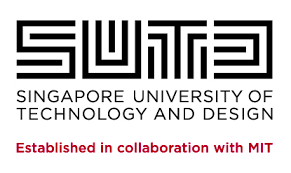 Now, teams from both MIT and the Singapore University of Technology and Design (SUTD) are employing light in their endeavors to create smart structures. They’ve had good success too, if the amount of torturing they’ve put these materials through is any indication. According to the engineers, they’ve twisted, bent, and stretched everything from small coils to flowers fabricated out of numerous materials, and even a replica they made of the Eiffel tower. As is the case with structures being pushed into the 4D realm, all of the above materials reverted.